419. Continuous circular motion converted into a rocking motion. Used in self-rocking cradles. 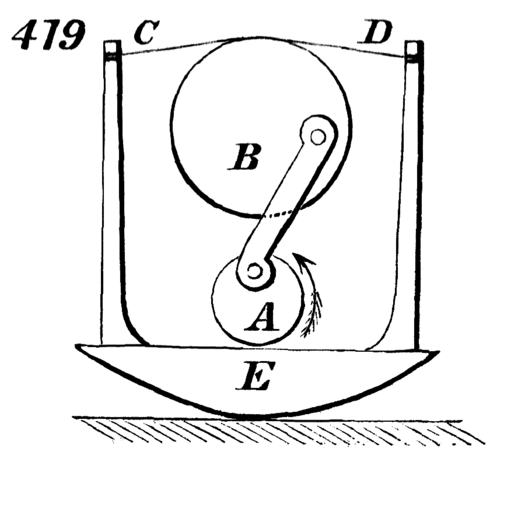 Wheel, A, revolves, and is connected to a wheel, B, of greater radius, which receives an oscillating motion, and wheel, B, is provided with two flexible bands, C, D, which connect each to a standard or post attached to the rocker, E, of the cradle.